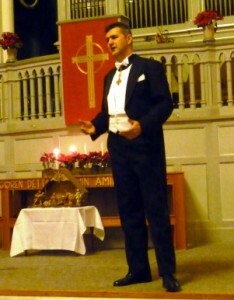 December 10, 2010 Eskilstuna Sang another Concert for the benefit of the Humanitarian work of the Equestrian Order. The accompanist was AnnaMaria Hedin. Crhistmas Day 2009 Stockholm Sang Missa Brevis K 194, together with (other) soloists, Cathedral Choir of the Cathedral of St. Erik and minor Orchestra. The Conductor was Elisabeth von Waldstein. Another concert for the benefit of the Christian schools in the Holy Land. December 10, 2009 Eskilstuna Sang another Concert for the benefit of the Humanitarian work of the Equestrian Order. The accompanist was AnnaMaria Hedin. Photo by courtesy of Martin Ancons. Nov 14-15 2009 Stockholm Sang as a soloist at the Concert in the Cathedral of St. Erik in Stockholm. We performed Gabriel Faure’s Requiem. Parts of Fauré’s Requiem were performed even next day, Nov 15, at the celebration of the Requiem Mass, for the late Bishop Hubertus Brandenburg (1923-2009). May 2009, Stockholm, Eskilstuna At the Croatian Masses in Sweden I use to sing the entry song ”Behold the high priest” when an eminent prelate from Croatia visit our Croatian community in Sweden. This Year our guest was H. Em Cardinal Josip Bozanic of Zagreb. H. Em. the Cardinal celebrated several Masses in Scandinavia. 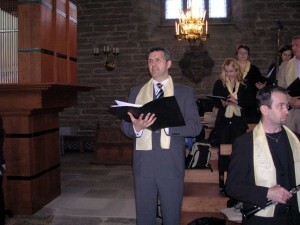 I sang the well-known entry song ”Ecce Sacerdos Magnus” in the Cathedral of St. Erik in Stockholm. H. Em. the Cardinal was also guest of our Family. 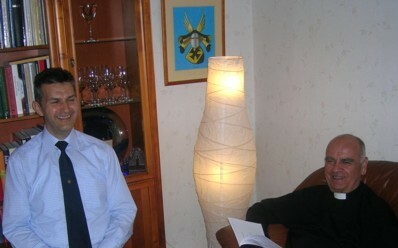 During this informal visit, we discussed many interesting issues. 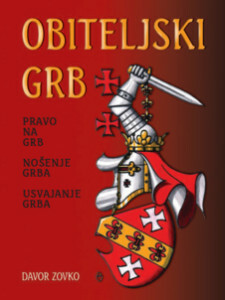 One of them was possibility of establishing of future local authority of the Equestrian Order in Croatia. – Who is entitled to Arms? – How to assume new Arms? The book has151 lavishly illustrated pages and was printed in ful colour. Hard cover, 28×21 cm. For further information about the book, please, contact the publisher, Laurana Zagreb. Mar 26, 2009 Stockholm One of my heraldic paintings has been published at the Homepage of Swedish Radio. The Arms on the painting is assumed by the producer and host Tobias Svanelid. The Coat of Arms is composed by Stefan Bede, assisted by the heraldists of the Swedish Heraldry Heraldic Society. May 26, 2008 Eskilstuna After the Diocese of Mostar’s publishing a note about the Bishop’s visit to my Family, I also publish this news. H. E. Bishop Ratko Peric of Mostar, visited Sweden in May this year. The Bishop celebrated Holy Mass on the occasion of the traditional Croatian pilgrimage to the Church of St. Bridget in Vadstena. At the Croatian Masses in Vadstena I use to sing the entry song ”Ecce Sacerdos Magnus”. This year I could not take the job due to singing at Catholic Days in Germany. 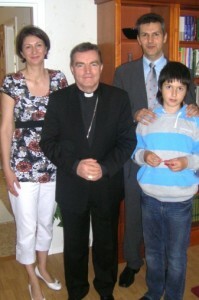 However I got the opportunityto meet the Bishop, when he visited our Family. Msgr. Stjepan Biletic and Don Ante Kutlesa visited us together with the Bishop. I and my Family always look forward to all guests, and a visit of the Bishop from my hometown was particularly joyful event for the whole family. In addition to lunch and a pleasant afternoon, we had time to talk about some current issues and events. I was very imppressed by bishop’s knowledge about Chivalric Orders. May 22-25, 2008 Osnabrück, Bremen The last weekend in May, I was in Osnabrück, singing as solist at the Catholic days. I travelled to Germany together with the Stockholm Cathedral Choir. Thursday, May 22, was a day of intense rehearsals and exercises. On Friday, May 23, we sang at the Mass in the Cathedral of Osnabrück, and we gave also a concert. We sang a very interesting program of spiritual songs, and I was pleased with my solo performances. Saturday was the day off, with a very interesting guided tour in Bremen. 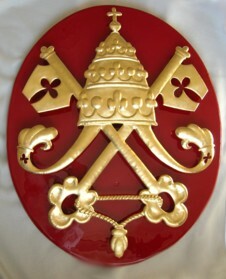 Picture: Fully displayed Arms of John P. Foley, Cardinal Grand Master of the EOHSJ. 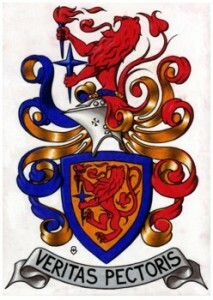 This could be the first picture of the fully displayed arms of the GMOEHSJ in the Order’s history. Feb 27 2008 Eskilstuna Archbishop John P. Foley was appointed pro-Grand Master of the Equestrian Order in June 2007. At the consistory of cardinals, in November 2007, the Grand Master Foley was appoi ted Cardinal. Cardinal Foley was appointed Grand Master of the Equestrian Order, on December the 22nd. – Fully displayed Coat of Arms of H. Em. Cardinal Foley, Grand Master of the Equestrian Orden of the Holy Sepulchre of Jerusalem. – Coat of arms of H. Em. Cardinal Foley Grand Master of the Equestrian Orden of the Holy Sepulchre of Jerusalem, displayed in the pattern for cardinals. Picture: Arms of John P. Foley, Cardinal Grand Master of the EOHSJ, displayed in the pattern for Cardinals of the Catholic Church. 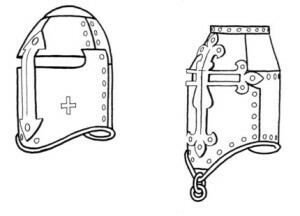 Both drawings were made according to the Constitution of the Order. I composed the new Collar of the Order. The Collar looks like a rosary but it is still meant to be the Collar of the Order. The Collar of the Order has been composed in different ways for different Grand Masters. In this composition of the Collar I wanted to associate to pope Benedict XVI and the Holy Land (shells). I drew the Coat of Arms with all the elements that the Arms of the Grand Master should contain according to Constitution of the Order. This is probably the first time in the history of the Order that the Arms of Grand Master are shown with all the elements. Many heraldic artists are content with showing the arms of the GMEOHSJ in the usual pattern for Cardinals, adding only quartering and the Cross of the Order behind the shield. I believe that Cardinal Foley will continue to use his Arms in the usual pattern for cardinals. Anyway, I wanted to celebrate our new Grand Master by drawing both the fully displayed Arms and the Cardinal Arms. The purpose of this project was also to contribute to the Order’s humanitarian work. Namely, the original paintings can be purchased. The means earned, will be used in the humanitarian work of the Order. The original of the first picture of the fully displayed Arms of the GMEOHSJ can be purchased for 600 Euro. The original painting of the coat of arms of Cardinal Grand Master without the mantling could be purchased for 500 Euro. If both pictures are purchased by the same person the price would be 900 Euro, for both pictures. The person who purchases the original painting will be mentioned on the postcards as owner of the original drawing (of course, only if he, she, or they wish to be mentioned). Send an e-mail to me and inform me which picture you want to purchase and if you want us to publish your name on the postcard when it is published. If you are to become the owner of the picture (i.e. if you were the first person sending me your intention to buy it), I will inform you about that and about the details of paying for the pictures to the Lieutenency. When the money is registered I will send you the picture (without frame). 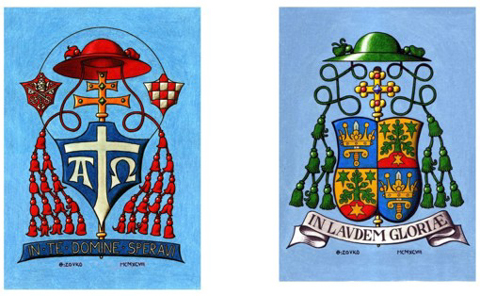 Feb 20, 2008 Stockholm In cooperation with the Croatian Catholic Mission in Sweden, I have published a new issue containing two postcards with heraldic motifs. 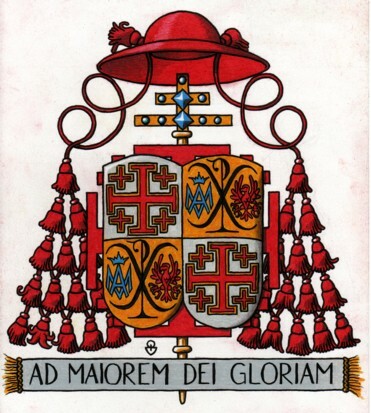 The first card shows the Blessed Cardinal Alojzije Stepinac’s Coat ofArms. The card is issued for the purpose of celebrating the tenth anniversary of the Cardinal’s beatification. The painting was made in 1998, as an illustration for my book. 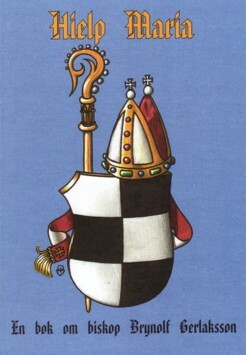 The second card shows the Coat of Arms of Bishop Anders Arborelius. The card is issued for the purpose of celebrating the tenth anniversary of Anders Arborelius’ appointing as bishop of Stockholm (Dec 28, 1998). I composed the Arms and painted the picture in 1998, in connection to the episcopal consecration. Any money from the sale of the cards will be used as support to Caritas of Sweden. Feb 5 2008 Eskilstuna Composed Coat of Arms for well-known Swedish journalist and TV host Hasse Aro. A larger number of new images have been put in the Gallery of Arms. Oct 14, 2007 Lomma Jan Raneke was undoubtedly the greatest Swedish heraldist ever and one of the world’s greatest heraldists ever. I have had the privilege to share a little piece of eternity with Jan and luck to live in Sweden precisely at that time. Jan’s name appeared for me for the first time in von Volborth’s book The Art of Heraldry. I contacted him immediately and asked him to review and comment my first attempts in heraldic art. It was Jans very positive and encouraging comments that motivated me to continue to paint Coats of Arms. Even later, Jan’s praising of my works was for me a kind of sign that I was on the right course. 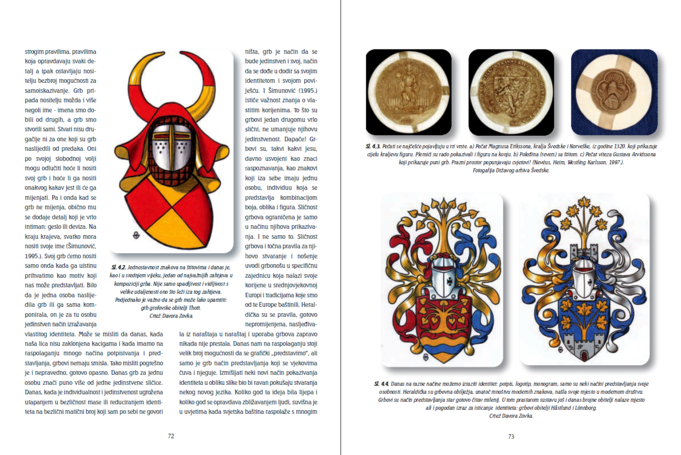 Jan was known among the heraldists, not only as the doyen of Swedish heraldry, but also as a very kind person who always helped, always allowed using of his images in various publications, and always had time for questions and discussions. Jan’s art is characterized by some recognizable elements. His mantlings are real renaissance of the Renaissance artist Albrecht Dürer’s heraldic art. Jan’s mantlings are very well developed, very carefully studied and always painted with clearly marked thickness of the material. Such masterpieces can not be seen in works of any other heraldic artist in the world. Jan’s helmets are easy to recognize. Straight lines and cold shadows create the impression of heavy, stable, thick metal. Looking at Jan Raneke’s heraldic compositions has always been a soothing experience for me. I feel: this is a work of art is finished, completed, rounded and perfect. The viewer does not have to think about anything, just sit back and enjoy. 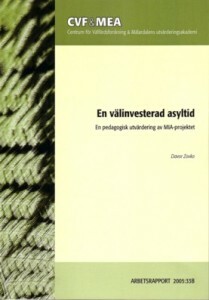 Aug 23, 2007 Eskilstuna Department of Social and Behavioral Sciences and Mälardalen Evaluation Academy have now published my new evaluation report. My chief Mats Ekermo PhD and I were commissioned to evaluate a development project led by Swedish Association of Local Authorities and Regions, in counties of Norrbotten, Sjuhärad and Jönköping. The project involves the development of methods for treatment of people with so called dual diagnoses, substance abuse and mental health problems. The method is called Case Management or ACT, where a single ”Case Manager” will be responsible for a small number of clients. The case manager will coordinate the efforts of social services, social insurance and other offices, as well as primary care, psychiatry, etc. The report can be read at Mälardalen University’s database. Mar 21 2007 Stockholm Each year the members of the Swedish Heraldic Association vote and choose Arms of the Year, among all new heraldic compositions. For year 2006 the winner is my composition of the Arms of the Swedish Family Qvarfordt. The composition tells the story of the family’s arrival from the city of Querfurt in Germany to Sweden. This is the second time my compositions win in this competition. Feb 2, 2007 Eskilstuna The campaign of selling of my heraldic paintings in favor of the humanitarian work of the Equestrian Order of the Holy Sepulchre of Jerusalem, is now completed and closed. Seven pictures were sold in Sweden and Norway. Two pictures were provided as a gift to a person who donated a larger amount of means to the Order. Sep 2. 2006 Eskilstuna His Imperial and Royal Highness Archduke Dr. Otto von Habsburg visited today Croatian association in Eskilstuna. I got the assignment and privilege to organize this visit. 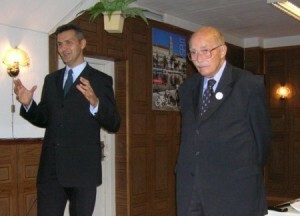 Dr. Otto von Habsburg spoke about Croatia’s future in Europe. With great and genuine pride he repeated several times that he also is a Croat. The first language he had read in school was Croatian. We know Dr. Otto von Habsburg as an avid lover of our homeland. With great commitment he has always supported Croatia’s membership in the EU, both as a MEP and as the President of the Pan-European Union. One of his most famous sentences is ”Europe without Croatia is not Europe”. For every present person, this high visit was a touching experience that brought pride and joy. It was an unforgettable experience to meet His Highness who is one of the most important political and historical figures in the modern World. May 27, 2006 Vadstena Since 2000, every year in May, Croats of Scandinavia make a pilgrimage to Vadstena, to worship the great Saint of Sweden, St. Bridget. The central event of every pilgrimage is the Holy Mass in the Great Church of St. Bridget. Since beginning, I was singing at the Masses, as soloist. Traditionally I sing the entry song ”Ecce Sacerdos Magnus” during the Celebrant’s entrance into the Church. May 21, 2006 Rome The Holy See has repeatedly spoken out in its official newspaper, L’Osservatore Romano, in order to explain their positions regarding self-styled organizations that call themselves ”Chivalric Orders”. The statement of the Holy See is renewed even this year. The reason for that is organization called ”Order of Templar” and their claim that the Holy See recognizes them. The Holy See refuses such allegations in L’Osservatore Romano May 21. The Holy See’s statement explains that the allegations about the Holy See’s recognition of so called ”Templars” are fraud. The Holy see also explains that the (real) Order of Knights Templar was dissolved by Pope Clement V, and that none of his successors has ever restored the Order. It is reiterated that the Holy See recognizes only two of Orders of Knights: Knights Hospitaller and the Order of the Holy Sepulchre. This statement was also published in English, by the News Agency Zenit. There are numbers of different, linked or independent, organizations using the name of the medieval Order of Knights Templar. Sep 2005 Eskilstuna This year I have gained the confidence to start the humanitarian work of Malterer Relief in Eskilstuna. The work sterted with my visits to the two retirement homes (Nålmakaren and Nyfors). Malteser Relief is the world’s oldest and global humanitarian organization that works in the spirit of the Order of Malta and also under the Order’s patronage. More about the organization can be read on the Nordic Malteserhjälpens website. Order of Malta (Order of St. John) has played an important role in Eskilstuna history. The well-known monastery from the 1100s belonged to the Order. The monastery was opened at latest by the year 1185 and the members of the Order took care of the elderly in Eskilstuna for nearly 350 years, until the Reformation. Therefore I thought it was some symbolism in starting the Malteser Relief’s humanitarian activities in Eskilstuna, just by visiting the elderly. In that way, the Order’swork in our city is resumed, 820 years after its first start. Aug 2005 Eskilstuna The Centre for Social Welfare Research and Mälardalen evaluation Academy have now published my evaluation of the ”MIA”-project. 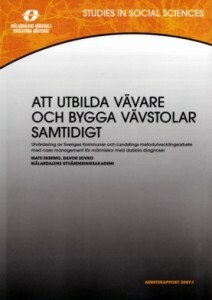 The report can be read at the database of Mälardalen University. Jan 2005 Skara Skara Diocese’s Historical Society has published a book about Bishop Brynolf Gerlaksson. I was commissioned to do the book’s cover. Here is the result. On the Society’s website you can read more about the book. Jan 2005 Stockholm Each year the members of the Swedish Heraldic Association vote and choose Arms of the Year, among all new heraldic compositions. 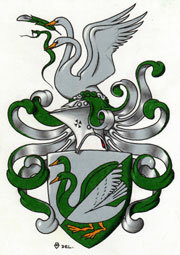 For year 2004 the winner is my composition of the Arms of the Swedish Family Tiljander. Dec 10, 2004 Eskilstuna In the Beautiful Elim Church in Eskilstuna, I sang a Christmas Concert for the benefit of the humanitarian work of the Equestrian Order of the Holy Sepulchre of Jerusalem. The Choir of Music Schools in Eskilstuna was kind to sing several songs at the Concert. The conductor was Mats Stenlund. 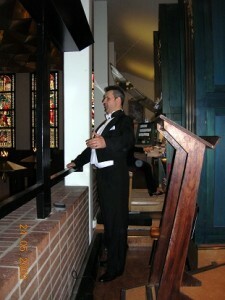 The accompanist was Peter Richloow. September 2004 Stockholm The Equestrian Order of the Holy Sepulchre of Jerusalem established its new Lieutenancy in Sweden, in November 2003. 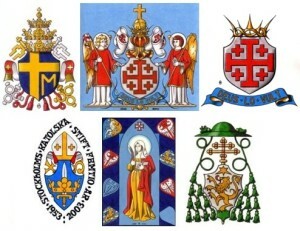 In September 2004, several Knights and Ladies were appointed in the Cathedral of St. Erik in Stockholm. This was the Order’s first dubbing ceremony on Swedish soil. For this occasion, I was commissioned to make a new rendition of the Order’s old Coat of Arms. May 2004 Stockholm The Vatican Embassy in Stockholm asked me this spring, to help them to renovate the image of the Coat of Arms of Vatican State, made in copper. 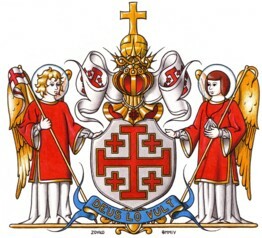 When I saw the shield, I understood at once that it had been designed after Archbishop B. B. Heim’s original drawing. Knowing the Aarchbishop as one of the greatest heraldists ever, I wanted to arrange a good renovation of this shield. I found a good car painter and a good gilder and I asked them to take good care of the shield. Here is the result. 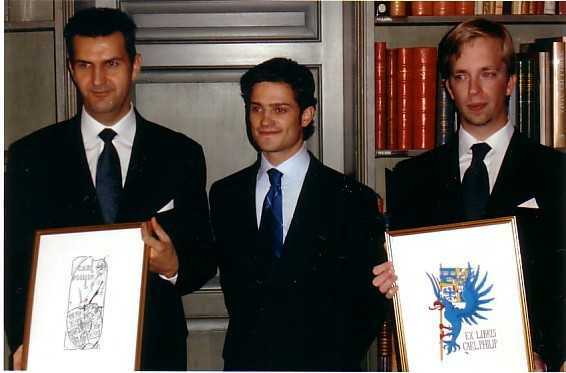 Oct 9, 2003 Stockholm The board of Swedish Exlibris Society (SEF) submitted by the end of 2002, a request to the Royal Court and HRH Prince Carl Philip, whether SEF could announce a competition of developing a bookplate to HRH the Prince. On December 19, the Royal Court answered that HRH the Prince has received the SEF’s request and with interest expected proposals for a bookplate. In January, the SEF invited eleven prominent Swedish bookplate artists to participate in this competition. I was one of the invited artists. 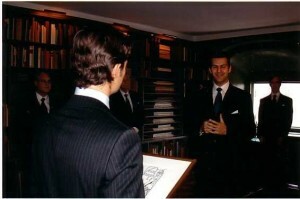 Picture: Presenting for HRH the Prince the ideas behind my composition of the bookplate. 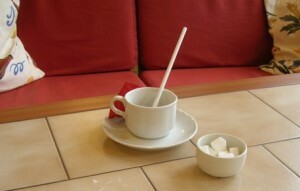 Photo by courtesy of Royal Court. In May 2003 I received a message from the SEF that HRH the Prince chose my proposal as one of his future ex librises. The other winning proposal was painted by Magnus Bäckmark. Picture: HRH the Prince together with the winners. Photo by courtesy of Royal Court. The handover of exlibrises took place in the Bernadotte Library of the Royal Palace in Stockholm. Winning in this competition was particularily interesting for me, fo two reasons. The first, due to working with my Master Thesis, I had no time to submit three proposals to the competition. Thus, I competed with only one proposal and won. Second, since HRH Price Carl Philip also is educated as a graphic designer, his choice of my proposition weighs even heavier. Picture: my, winning proposal for HRH the Prince’s bookplate. May 21, 2003 Eskilstuna Davor Zovko: Heraldry – a theme in academic papers and a subject that motivates to lifelong self-learning. Thesis Mälardalen University, Eskilstuna 2003. Can be ordered from the author for 160 SEK (incl. Postage within Sweden). On May 21, 2003 Davor Zovko defended his Master thesis in education at Mälardalen University in Eskilstuna. 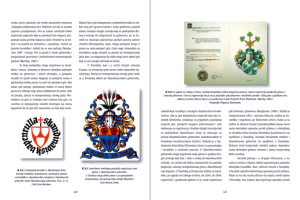 The study is based on a survey with individuals who have written about heraldry in their theses. Since there id no regular heraldic teaching at our institutions, all respondents are self-taught in the subject. The study has tried to show how heraldry as topic has motivated the respondents to self-learning and then led them to chose the topic as a theme in their theses. 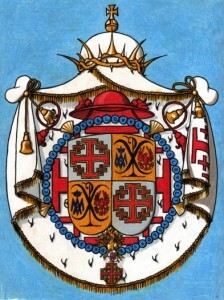 Some of the conclusions that Zovko draws from his study are that the heraldry as topic satisfies various human needs, such as aesthetic, intellectual, and need for affiliation (Maslow, Maccoby). This creates a strong internal motivation for self-learning in the subject (Stensmo, Silén, Borgström, Houle, Tough, Molander, Mok & Cheng, etc.). 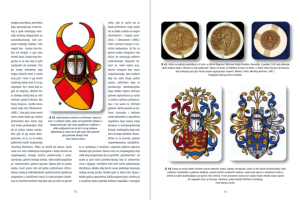 The author has in a very personal and engaging manner described his own encounter with heraldry and the fascination he feels about the subject.